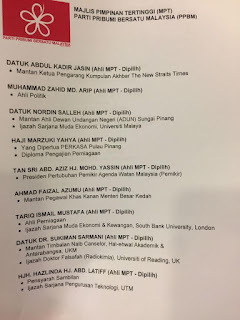 Puchong, 3 Nov: So, my ex-boss A. Kadir Jasin is officially a former journalist. Sad but, I suppose, inevitable. 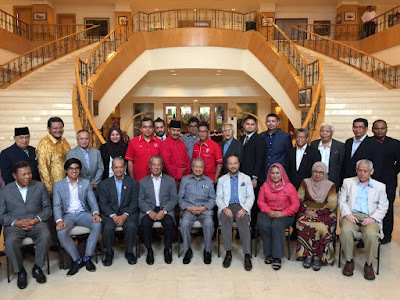 Kadir ended a sterling career that lasted nearly half a century, starting as a Bernama reporter in 1969, peaking with the management buyout of NSTP and TV3 in 2003 and ending as a socio-media journalist, to join Dr Mahathir Mohamad's Pribumi Bersatu party that the former PM set up to end Najib Razak's tenure as Prime Minister and Barisan Nasiona/Umno's reign as Malaysia's longest ruling party. Zainuddin Maidin is the other Tokoh Wartawan Negara besides Kadir who left journalism to become a full-time politician for Dr Mahathir after a long and rewarding stint with journalism. 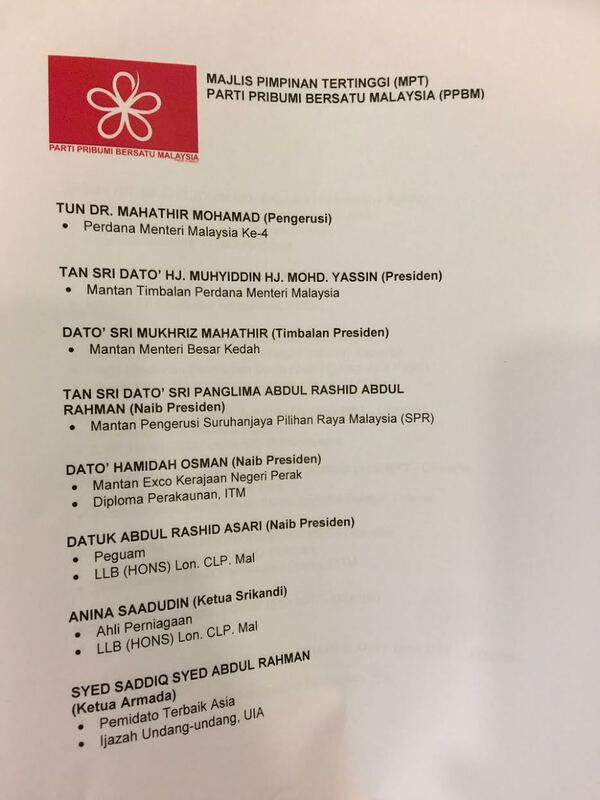 The former Utusan Malaysia chief editor was made Deputy Information Minister in 2002, the year before Mahathir stepped down as PM, and in 2006 was appointed the Information Minister by Pak Lah. His political career was cut shot by his defeat in the 2008 general election. 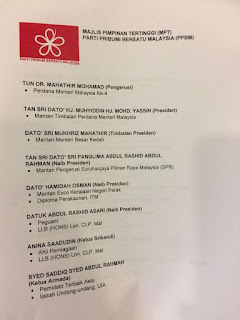 The Pribumi Bersatu aka Parti Bunga (Flower Party, see logo) line-up. A party comittee comprised of mantans and party election losers stuck in old ideas. Muga istiqamah beeterusan dalam keadaan sekarang yang ada. The rest of the country will chart a realistic pathway by giving the chance for youth to formulate the way forward. By 2050 they will be in their prime or elders. 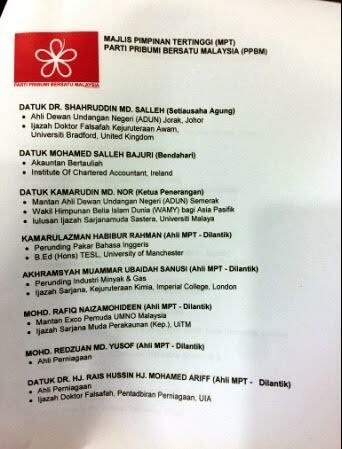 Other than syed, the rest of the pioneering PPBM especially the chairman should be dead! "my ex-boss A. Kadir Jasin is officially a former journalist. Sad but, I suppose, inevitable. Kadir ended a sterling career that lasted nearly half a century"
Ehhhh, how do you define "journalist"? Someone who writes commentary based on facts. Do tired old hacks & apologists who spin SWIFT codes and muddled Saudi donation theories into an ungodly mess qualify as "journalists"? Tsk tsk tsk rockybru... didnt know that you have such a shallow mind probably too much of eating dedak. 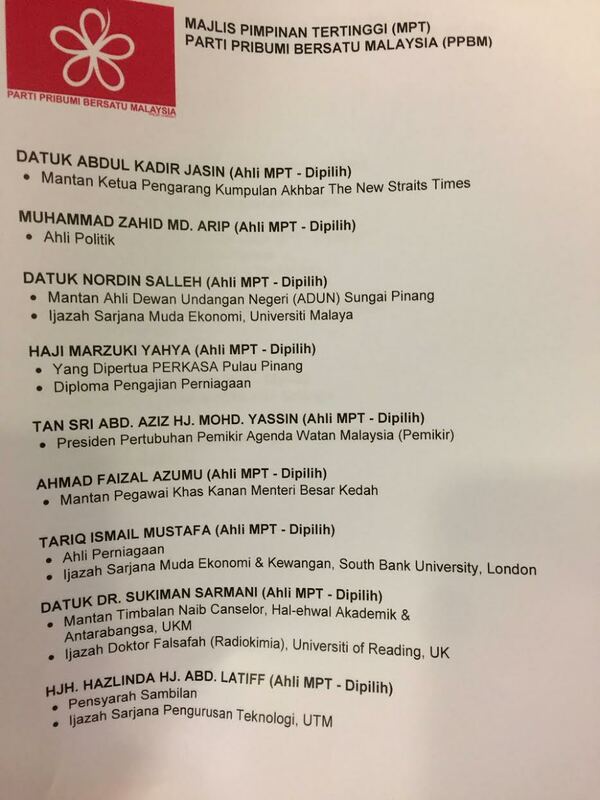 I wonder why you wrote your ex-boss A. Kadir Jasin officially a former journalist? Is he not a journalist anymore? Did he declare to you he is now not a journalist? Kesian rocky sampai begitu sekali ceteknya fikiran anda. All the best to DKJ! My vote in GE14 to him! Dia ada dedak, ada Det-dak (untuk Pro-Tuns saja) dan ada de-DAP (untuk ProLims). Sour grape, is he not? Who is the real Maria Chin? "We'll do a Trump on Najib!"